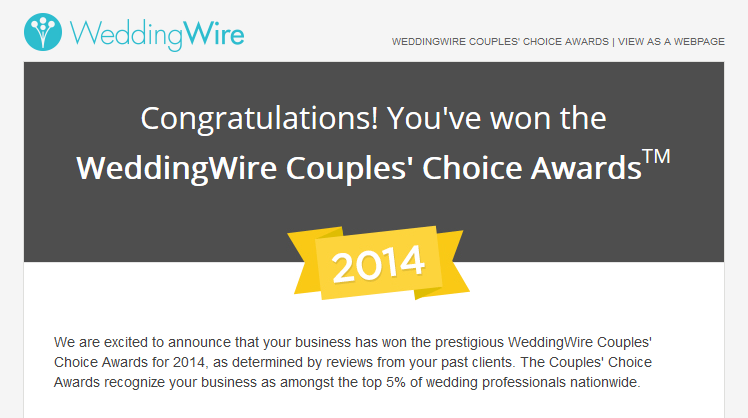 2014 WeddingWire Couples’ Choice Awards! 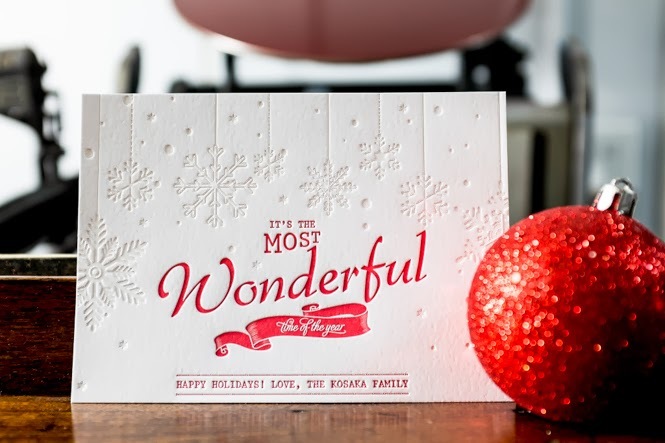 Happy Holidays from Simply Letterpressed! When it comes to your Letterpress Wedding Invitations, we try to make it as easy as possible to get the wedding invitations of your dreams. With that being said, we’ve decided to put together this easy-to-follow Wedding Invitation Envelope Size Guide that breaks down to the nitty gritty good stuff! 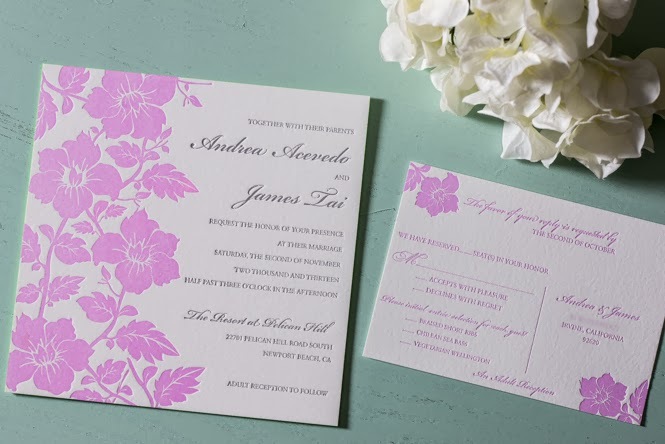 Unsure of what size or color to get for your Letterpress Wedding Invitation suite? 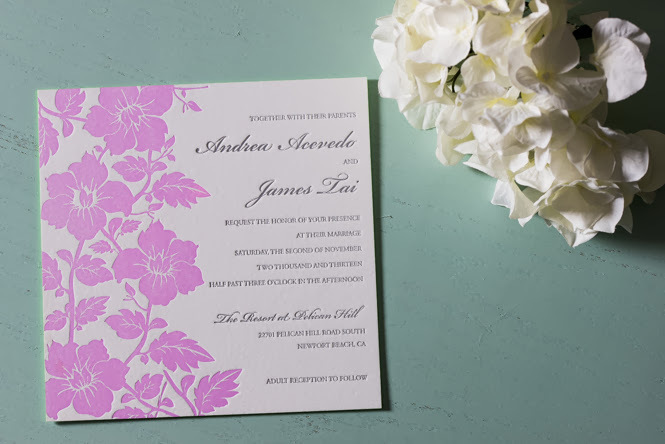 Check out our guide to see what’s trending and see what our most popular sizes are for each piece of your wedding invitation suite. The Wedding Invitation part of your planning should be fun and exciting and we try to make it as easy and stress-free as possible. 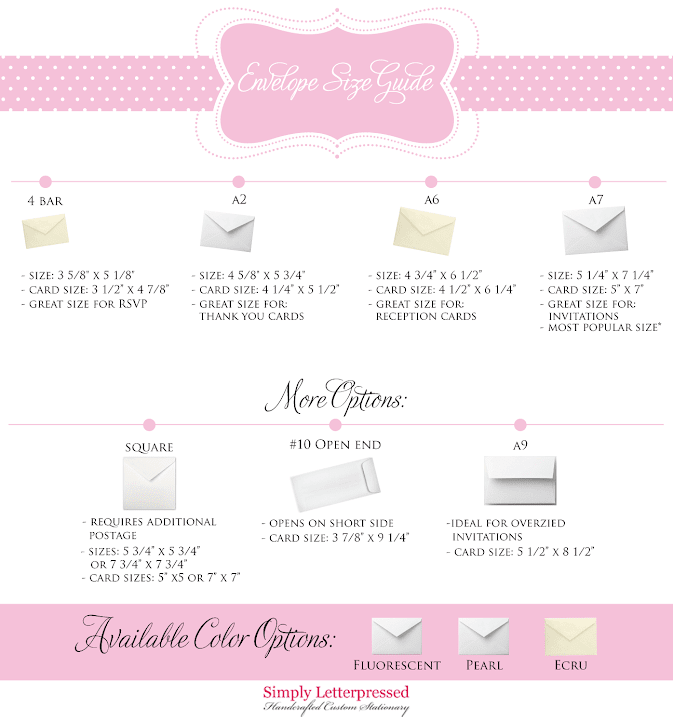 As you can see in our Wedding Invitation Envelope Size Guide, we offer an array of sizes and colors and sizes. However, if you are interested in specialty colored envelopes, we can help with that as well. The above is just to showcase some of our in-house envelopes offered here at Simply Letterpressed. 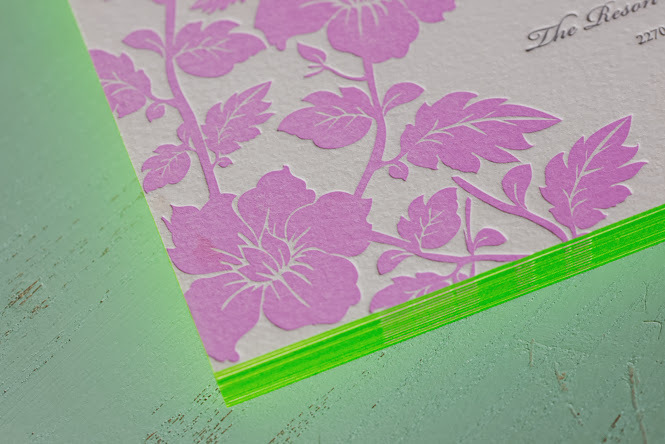 We cut all the cardstock ourselves and can definitely customize a card size for your wedding invitations suite. 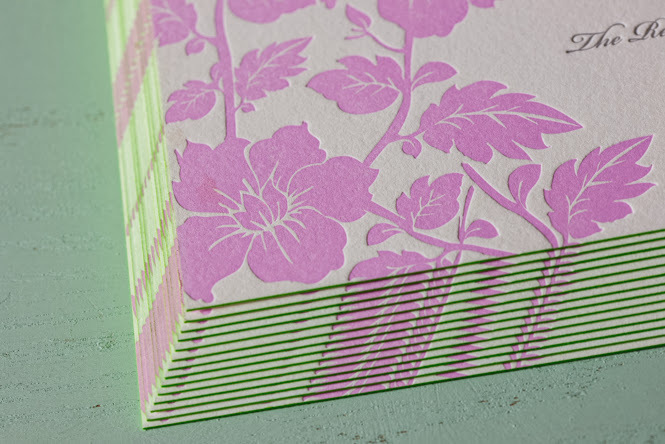 Currently, our most popular envelopes size and card size is the A7 as seen above. Sizing at 5″ x 7″ for the invitation and envelope at 5 1/4″ x 7 1/4,” it’s a great size for your letterpress wedding invitation! For more information, please feel free to contact us and a friendly representative will answer any questions you may have. Simply Letterpressed Awarded The Knot Best of Weddings 2014! What a great way to start the week! 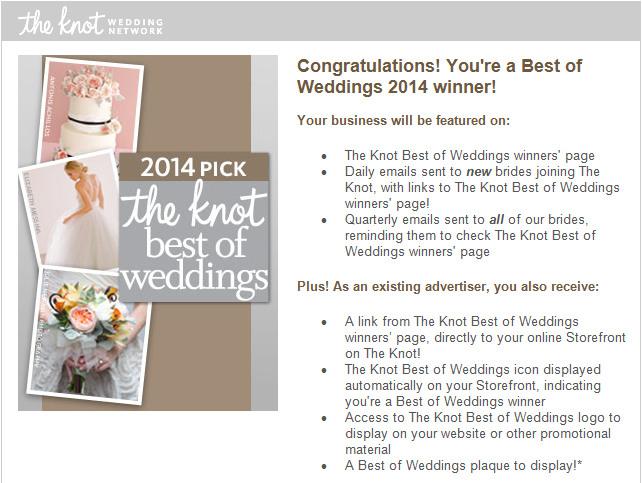 I got this e-mail this morning and it totally had me grinning from ear to ear as we were just awarded The Knot Best of Weddings 2014! I wanted to congratulate the recent newlyweds, Andrea and James, on their wedding over this past weekend and express how honored I am to have been able to print their letterpress invitations. They tied the knot at the beautiful Pelican Hill in Newport Beach, California on Saturday. They really lucked out on the weather because it was just perfect here in California, but then again, when is it not? 🙂 I bet their wedding was beautiful and cannot wait to see the photos. I started working with James in March of this year for their letterpress wedding invitations. I was able to meet up with both him and Andrea to discuss design options, colors, etc, for the letterpress printing. They liked the look of square invitations so we decided to go with that along with an RSVP postcard. Working closely with them both, we opted for 2-colors on their letterpress invitations and 1-color for the RSVP card. For the design, they wanted to incorporate floral details in a beautiful lavender color that Andrea picked out with grey text and green edge paint. I absolutely loved how the lavender floral details printed! I was really excited for the green edge painting we did for the invitations. It just gave it that extra pop of color that I absolutely loved. The letterpress printing was done on our Chandler & Price using our Pearl White cardstock. I met up with James to deliver the invitations and was sure glad to do so. I wished Andrea was able to join so I could see her reaction (unfortunately she was stuck at work at the time), but luckily, she was sweet enough to send me an email expressing her excitement for them as well. I’m glad they were both as pleased with the final product as I was. Congratulations again to the newlyweds. May your lives be filled with endless laughter and eternal happiness! Please be sure to check out our Facebook for letterpress invitations and updates!